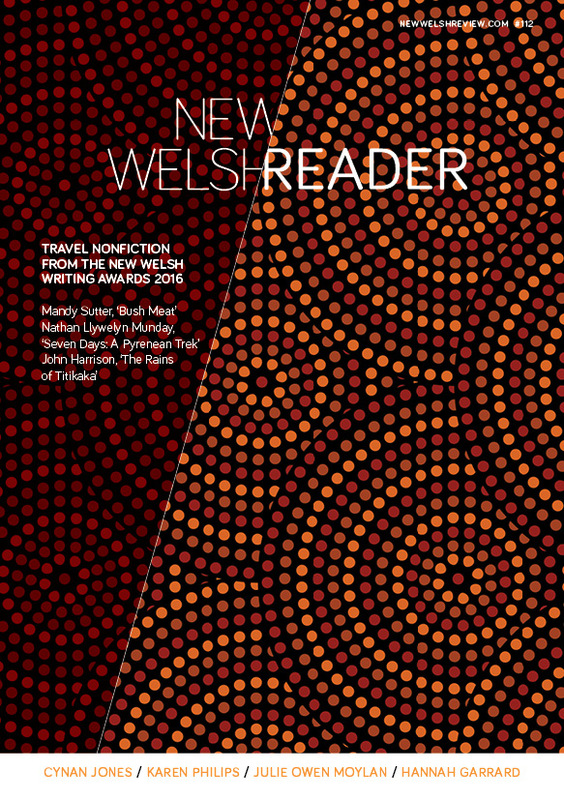 Claire Pickard, New Welsh Review Your latest novel, The House on the Cliff, was published in spring and is reviewed in NWR 102, published on 1 December. On the surface, this seems to be something of a departure from your first book, A Girl’s Guide to Modern European Philosophy (2008). Yet both novels use abstract ideas and philosophical concepts as key elements within their plots. Was this technique something you consciously chose to return to in The House on the Cliff? Charlotte Williams: Not consciously, no, but I suppose I’m always interested in looking at how ideas/concepts play out in day-to-day life. That’s why, in Girl’s Guide, I decided to use philosophy as a backdrop. In that book, a young woman at Sussex University in the Seventies accidentally becomes pregnant, and turns to her philosophy books for help in making a decision. That set-up allowed me to discuss the moral aspects of abortion, but in a way that was concrete, rather than abstract. In The House on the Cliff, I chose to make the main character, Jessica Mayhew, a psychotherapist. This again enabled me to explore some ideas in psychotherapy, showing how a psychotherapist actually works in her everyday practice. Having said that, I do think the narrative and characterization in a novel are far more important than abstract ideas. The plot must impel the reader to find out more; the characters must come alive, live and breathe. Abstract ideas can deepen the drama, giving the story a wider cultural framework and perhaps lend it a kind of universality, but that’s all. Another reason for making Jessica a psychotherapist is that I think readers like to find out about a subject, an occupation, or a particular milieu in a novel. When I wrote The House on the Cliff, I wanted to show how a psychotherapist works, what sort of techniques are used, and I think readers found that intriguing. NWR: Having noted this similarity, there is, of course an obvious difference between the two books in that The House on the Cliff is a crime novel. As you explore in the novel, there is a clear relationship between psychoanalysis and detection. You yourself have trained as a psychotherapist – do you think this was one of the reasons you were drawn to start writing in the crime genre? CW: The crime genre has its own rules: in most cases, there has to be a murder, there has to be a mystery, and it has to be solved. This gives the writer a solid framework on which to hang any kind of story, and that’s the beauty of the genre – you can write about more or less anything that takes your fancy. As you point out, there is an obvious link between psychoanalysis and solving crime – both involve analyzing motive. Also, I liked the idea of using a traditional format in the novel, but giving it a new spin. In The House on the Cliff, Jessica sits in her office and in comes a client with a story to tell. The client is spinning a yarn, not telling the whole truth, so she has to work out what’s really going on. This was a homage to Chandler, where Marlow sits in his office, and in comes a good-looking, double-crossing dame in apparent need of help, which starts him off on his quest. I did a year’s training as a psychotherapist, and yes, I found that useful in writing my latest novel. Before that, I’d also studied Freud at university, in some depth, and been to see a therapist myself at one time. So I felt I had enough background to write about Jessica’s daily life. NWR: Did you notice any difference in how you tackled writing the two novels? For instance, did the crime aspect of The House on the Cliff necessitate a different approach to plotting? CW: Absolutely. Girl’s Guide was relatively easy to write, plot-wise. Essentially, it hung on one question: would Susannah have an abortion or not? The novel explored her relationships with her family, her lovers, and her friends as she considered this momentous decision. It was a ‘coming of age’ story in which a disaster precipitated a rite of passage so that at the end of the novel, the character had to grow up. In The House on the Cliff, I worked completely differently, plotting it out in advance. The story had to be exciting, but also believable. Dramatic events have to happen in crime fiction, but they must be events that could happen, otherwise the reader will lose interest. So I created a story with a lot of twists and turns, and also added a subplot, to avoid all the action coming at the end. The ending of the book is very dramatic – some might say melodramatic. But I think that’s acceptable. For one thing, I wanted to include a slightly gothic element, so that fits. Secondly, I think the dynamic between the characters works: the central conflict feels believable. I don’t like crime fiction in which the plot is more important than the characters. Characters should never be mere ciphers, carrying out the plot. To be honest, I’d rather have a creaky plot than lifeless characters. If you look at classics like Rebecca by Daphne Du Maurier, you’ll find the plot is all over the place, but because the atmosphere and the characters are so strong, nobody seems to notice. I think in the end, the reader of crime fiction has to suspend disbelief to a certain degree. Life is not usually as dramatic as it is in a novel. But I don’t think that matters too much, as long as the characters seem real. The narrative, even if it may be rather far-fetched, is there to illuminate relationships between the characters, and to tell us something about how human beings behave. NWR: One thing that struck me about The House on the Cliff was its title. There is a strong sense of place throughout the novel and this particular location – the Morgan family home – is very strongly developed. Was this setting in place from the very beginning of the writing process? CW: Yes. I wanted to write a novel set in Wales, focusing on Pembrokeshire. The House on the Cliff was actually based on the Druidston Hotel which looks over St Bride’s Bay. I did use some poetic licence, though; for example, the architecture of the house is different, and the bay below comes from Dunraven Bay near Southerndown. I do pick and choose from places that have struck me, to weave into the narrative, so they’re not always strictly accurate. In each book, I also write about aspects of Cardiff, since Jessica works there. NWR: You also convey a strong sense of the landscape of west Wales in which the house is situated. This area seems to have a particular emotional resonance within the novel – is it an area that is important to you? CW: I lived in London for many years and used to go on holiday to Pembrokeshire. Now I go there once or twice a year, and always find it exhilarating to drive out west. It’s a very open, dramatic landscape, with the sea dominating, and one gets a sense of freedom and tranquility there that is quite unique. So yes, west Wales is important to me. NWR: The House on the Cliff is the first in a series that will feature the character of psychotherapist Jessica Mayhew. When is the next book due to be published and how do you see the series unfolding? CW: The new book, Black Valley, will be out in 2014. It’s set mostly in Monmouthshire, around Llanthony Abbey, and concerns the world of contemporary art. Jessica’s new client is a talented young artist, Pandora Powell, who suffers from claustrophobia and has a fraught relationship with her twin sister Isobel. When Isobel’s husband, an art dealer, dies in mysterious circumstances, Jess is drawn in to a quest that not only leads her into danger but threatens to destroy her moral code as a therapist. The novel asks questions about identity: firstly, on a personal level, about how boundaries become blurred in close relationships; secondly, on a public level, about how artists create personae for themselves, and whether this is a playful and imaginative activity, or a dishonest and manipulative one – or perhaps, sometimes, a bit of both. I see the series continuing in this way: in each novel, Jess takes on a new client who opens up a fascinating new world for her, and impels her to find out the truth behind a mystery. There’s also an ongoing story about her private life – her quest to find love, her on/off relationship with ex-husband Bob, her role as the mother of two daughters, her friendship with Mari, and so on. I’d also like to set each book in a different part of Wales, giving a flavour of each region, as I’ve done up to now. NWR:That’s an interesting premise. So, as well as the individual mysteries, the series as a whole could also offer an extended character study of Jess – and a fictional tour of Wales? CW: Yes, I feel this character could run and run, as Jess takes on new cases and her family life changes. And the books could also function as a tour of the many different landscapes, cultures, and identities to discover within Wales. NWR: Lastly, the series sounds as if it will be a large project. Does this mean that your other writing and your music will be on hold for a while? CW: I’ve just finished an album entitled Dr Freud’s Cabaret, YouTube, song in voice of Anna O, a set of songs in the voices of Freud’s early patients. I’ve also completed an adaptation of The Postman Always Rings Twice for Radio 4 Drama. The new novel will soon be in production. I’d like to keep a balance between writing and music in future, if I can. I really enjoy all these aspects of my creative work.